Recommended For: Readers who enjoyed Breadcrumbs by Anne Ursu, or those looking for a story that reminds them about all of the things that they love about fairy tales. Be prepared for a review where I squash any negativity regarding this book and sing its praises at the top of my metaphorical mountain! Una is a child who doesn’t quite fit in. In fact, she feels as if she is an invisible being who even her teachers don’t see. That’s why she hides in the basement; she goes to her quiet corner and reads books that take her away from the drudgery of her daily life. That is, until the day that she finds a book entitled “The Tale of Una Fairchild,” which literally takes her away to the land of Story where she has been Written In to a young man’s final exam in which he must battle dragons and save the damsel..um.. damsels in distress. It is after talking to Peter that Una realizes that she has been Written In to the land of Story, something that has not happened in a very long time, and something that can certainly mean danger or even death for poor Una. 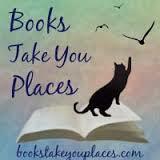 As the story progresses, Una learns a little more about the land of Story and the characters that dwell there. She learns that there are significant differences between those labeled as villains and those who are actually villainous. Most importantly, she learns that she is not invisible but a very important part of this world that she has inadvertently traveled to. First, the plot is brilliant. I love my fairy tale retellings as much as the next gal but it was so refreshing to read this story about students who are learning how to be characters in a story! I was laughing out loud with Una as she tried to perfect her villain laugh for her exam and desperately wishing I could have been part of this world. Honestly? Haven’t yearned this much since I didn’t get my Hogwarts letter all those years ago, might still be a little bitter about that one…but anyway, the plot twists and adventure were found on every page and really kept me wanting to know what happened next. The little plot twist at the end was really amazing and I actually didn’t see it coming which makes me so happy! The characters are all so loveable (or easily hated, I guess) and the book only made me want more from each one. I loved how the villains in this story were written in a way that made me sympathize with their predicaments and how Snow was portrayed as this snotty “Lady” but really she was just a scorned and sad daughter who wanted someone to love her. Obviously I loved Sam because well, he was a cat..but also because he was snarky and portrayed all the best cat-like qualities. Una and Peter we both very sweet and in a word, good which made me really see the differences between Peter and Endeavor Truepenny, I seriously look forward to seeing more from this character in book two. Though I don’t usually do this, there were many lines that stood out for me in this novel and I want to share them..
“It became Una’s habit, on days that she felt especially invisible, to retire to the basement of the school library. Most students stayed on the main floor, grouped together at sunny tables, giggling over their math problems and English homework. But Una preferred the lower level, where she could sit undisturbed except for the odd student scurrying down to get some reference book needed for a research paper. She would tuck into her favorite desk underneath one of the high basement windows – half daydreaming, half reading – while the minutes flew by and she wondered what it would be like to live a different life.” – Page 2 of Storybound, completely reminiscent of myself when I was a child. “She turned to go, but Horace pushed in front of her. ‘Ladies last,’ he said. She took the toe of her boot and knocked the outside of his left foot in toward the right. It was just enough to throw him off balance, and he stumbled to the side. ‘But then, I’m not much of a Lady,’ she said as she pushed ahead of him.” – Page 314 of Storybound, this part encompasses all that I love about Una as a character, it made me smile and high five the book. From page two this story drew me in. Marissa Burt writes a fantastic and beautiful narrative. 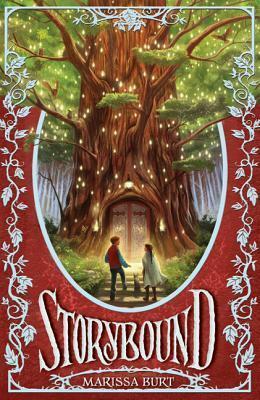 I highly recommend it to those who enjoyed Breadcrumbs by Anne Ursu, or those looking for a story that reminds them about all of the things that they love about fairy tales. This entry was posted in Debut Author Challenge, Middle-Grade, Reviews and tagged fairy tales, fantasy. Bookmark the permalink. I actually hadn't seen any complaints about this book, but honestly, your review is only the second I've read. I'll admit, I was surprised at its girth when I picked it up today (at least I didn't expect it to be thicker than The False Prince–it is), but honestly I don't care if MG is long as long as it doesn't drag *cough* Rick Riordan. I love how enthusiastic you are in this review, Alyssa! I'm so excited to read it now, I'm certainly going to prioritize and read it this week. Yay!